Yes, we do love our homeland! 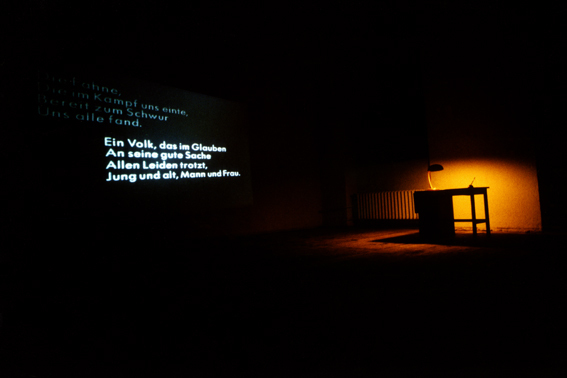 The work consists of the projection of verses from 21 different national anthems, translated into the same language. 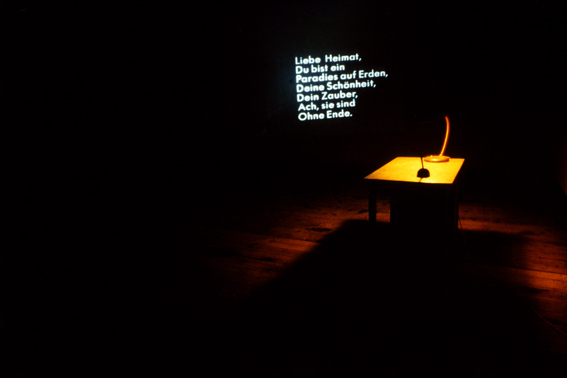 From an adjoining room, low music is hearable, national anthems in an instrumental version. 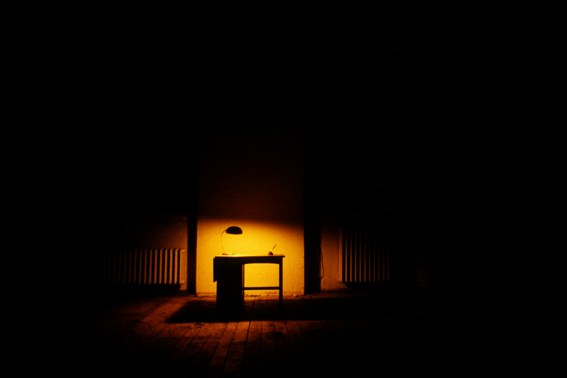 The dark room, the music and the sparse bureaucratic furniture provide a quiet, but unpleasant atmosphere. The people's glorious past, the love to the homeland and the superiority towards other nations serves as a symbol for national identification. Broken up into fragments and composed into a new anthem, it offers an absurd and questionable symbol of the national state of mind.